One might call them the Oprahs of cake. From Camp Fire victims to low-income families and even furloughed parents, the Frosting Families Board of Directors is ensuring every child gets to feel special, no matter what his or her circumstances are, by giving out cake after cake after cake. “It’s not easy not being able to afford things for your kids,” said Frosting Families CEO and founder Heather Arter, who owns Merry Morsels on Main Street. A mother of five kids herself, Arter started making cake-pops in her home so her children could have treats to bring to class for Valentines Day. Now, she’s in a position to help other parents surprise their children with specialty cakes, cupcakes and even parties hosted at the Main Street location. Initially, she wanted to work with Icing Smiles, a national nonprofit giving cake to sick children. But due to the rural area, participating was illogical. Her daughter gave her the idea of giving cakes to more than just those who were sick. And Frosting Families came to be. 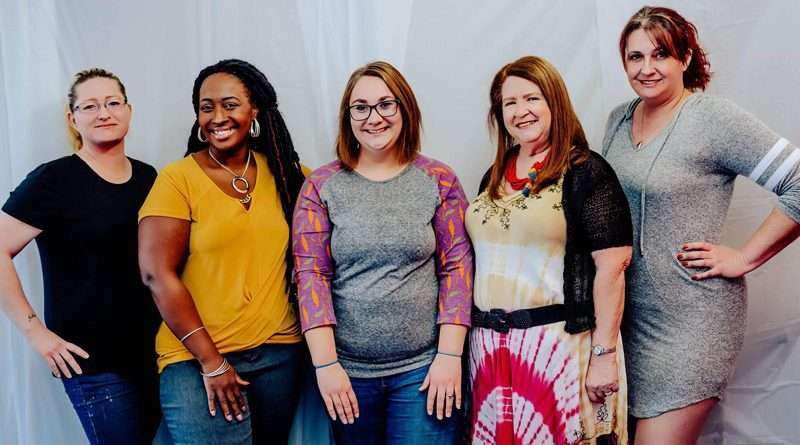 The members on the board of directors — Arter, Executive Director Nycki Lofton, owner of Nycki’s Knits and Creations, Financial Director Brandy Huett, Administrative Director Stephanie Thompson and community savant Susan Baxter — each bring a unique perspective, coming from different backgrounds, ages, and socioeconomic ranges. But they all have a common goal: to help bring a smile to every child. Frosting Families helps low-income families, foster children, families recovering from disasters, (for a whole year Camp Fire victims who are in the area get a free birthday cake for their child or children), seniors, veterans and families reuniting. They’ve even made a cake for a Camp Fire victim’s baby shower. The group can also cater to dietary needs, making sugar- and gluten-free treats. Whether someone needs a baked treat, Halloween costumes or even a place to hold a party with some decorations, Frosting Families has them covered — all they need to do is ask. Arter doesn’t want to put more pressure on families needing assistance making an event special, so there is no application process. This program is intended to “fill the gap between necessities and luxuries,” Arter added. And it’s worth it just to see the smile on a kid’s face. “I’ve seen their faces when they get their cakes and it’s priceless,” said Lofton. Lofton noted how humbling it is watching elated children receive a surprise cake. “There are things we take for granted, like everyone getting birthday cakes. Well, not everyone gets a birthday cake,” she said. Through this group, though, they can. 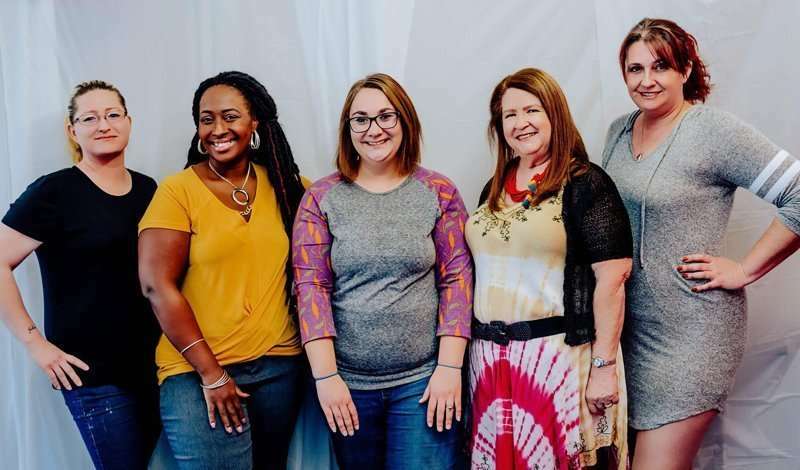 In order to help continue the nonprofit, Frosting Families is looking for help in the form of manpower and donations to keep the program at its peak. From 4 to 6 p.m. Saturday, Feb. 16, there will be a Frosting Families Meet and Greet, pizza included, at Merry Morsels, located at 2314 Main St.
Those interested in learning more about the local group can meet with the board and learn about the past and planned projects and sign up to work on various committees. The success in helping local families is also due to the support from the community and area businesses. From fundraising efforts and donations by Morning Glory, Inc., Eagle Lake Village Coordinator Mindie Hilton and residents, Sharon Arter, for help designing and creating cakes, and Supreme Graphics, Frosting Families is appreciative of the help and the group has plans to branch out even more. They are planning on submitting their paperwork shortly to achieve nonprofit status, and are adding more events, including an Easter basket assembly line at Merry Morsels, where families can pack a basket for their children, and even a mom prom is in the works. For more information on Frosting Families, how you can help or how to receive some assistance, call Arter at (757) 576-2815, stop by Merry Morsels or check out their Facebook page.